Design: E. Zenere & A. Danese. 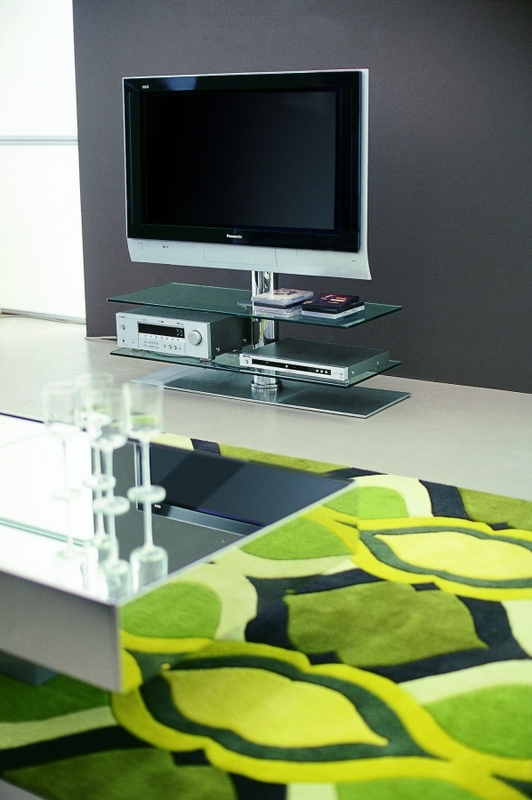 Vision is the TV swivel steel column holder with cable carrying tubes, its planes are in transparent crystal and the structure is in chromed steel. It has a modern and young design, similar to many but with a little touch of charm. 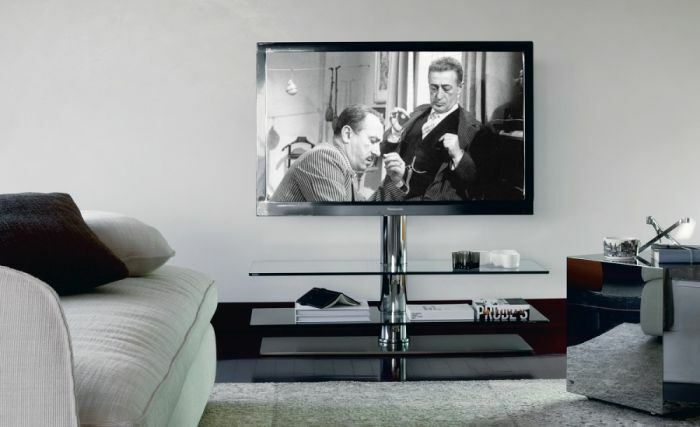 It is fitted for flat television screen until 42”. 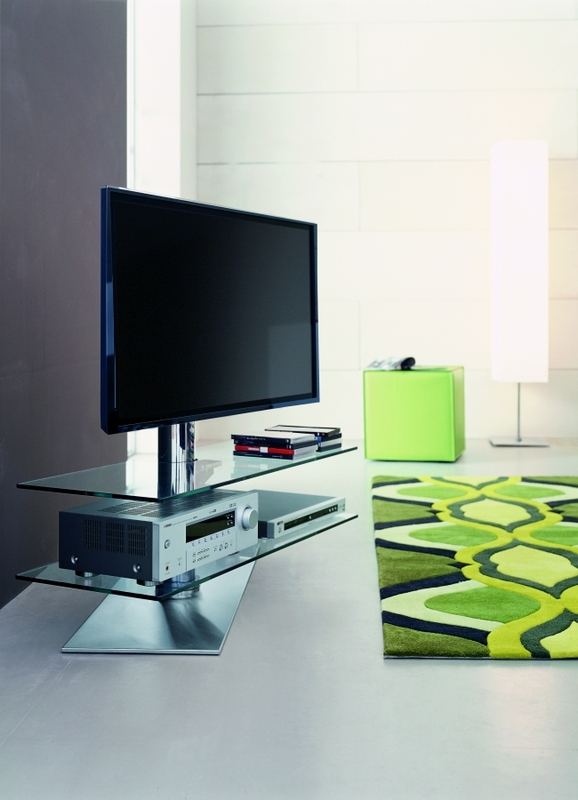 Maximum capacity for TV 40 kg, maximum capacity for each shelf 10 kg.